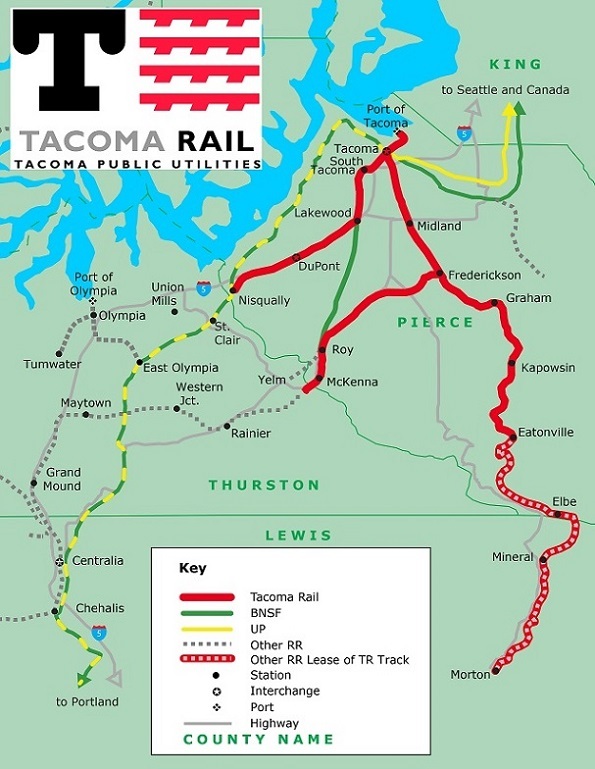 Tacoma Rail serves 65 customers on 140 miles of track in three operating divisions within Pierce, Thurston and Lewis counties. We are headquartered in Tacoma, Washington, with an operations center staffed 24 hours a day, 7 days a week. Our trains operate around the clock to meet the needs of our customers. Review our Active Customer Plant Address List to determine whether we serve a customer or their location, or contact our Marketing Department at (253) 396-3339 or jclark@cityoftacoma.org. Mountain Division, which has track in Pierce, Thurston and Lewis counties and stretches from Tacoma to Chehalis and Morton, Washington.